This month has just flown by, probably because it is a short month but February just went by in the blink of an eye. We have enjoyed some lovely family days out and have unfortunately been struck down with some illness but all in all February has been a good month. ~ Boiled potatoes dipped in mayonaise! I really enjoyed doing last weeks list of what made me happy so I thought I would continue with it. This week has been a lot better health wise for us with us all not being so sick. We still have a cloud of illness hanging over us but it hasn't stopped us from doing our day to day activities. This may sound so corny but the boys do bring joy to my every day, even if it is with just the tiniest of things, my days are better with them in it. 1. Bowling just us 4. We have inadvertently started a little family 'thing' of doing something just the four of us on a Sunday and it is lovely. We have been bowling a few times now and it is a huge hit with the boys. After being home for a solid 5 days, on Sunday we decided to get out and we went bowling. And it was so much fun! We even traded in our tokens that we have saved up the last couple of trips and the boys got some Peppa Pig recorders (we must be mad!). 2. A play date for Noah and his best friend. While Finley was at preschool on Wednesday my best friend and I went to a playgroup and then headed back to hers for lunch. The kids played lovely together and we actually had time to sit and catch up properly. Obviously with tea and cake too. 3. A day with my Nan. Thursday's are the only day of the week that both boys aren't at preschool so this week we headed over to see my Nan. The boys absolutely adore her, just like I do, and it is so lovely to see her. We didn't do all that much apart from have lunch at her house and then pop to the park just around the road. 4. Noah climbed across the rope bridge. While at the park by my Nan's house Noah faced a little fear he had. There is a rope bridge which he is always looking at and just not confident enough to cross, but Thursday he did it which the help from Finley at the end of the bridge encouraging him. It was so lovely to see his smile and sense of achievement once he had done it. 5. Finley and his numbers. He has always been great with counting but up until now the only numbers he has recognised are up to 10. That is until we were on our way to preschool and he started saying the numbers on the doors. They weren't all correct and there was the odd number getting put the wrong way round but he was suddenly recognising bigger numbers and trying. And I put this all down to his preschool because since he started there is September he has come on leaps and bounds. 6. Lunch with my Sister-in-law and Nephew. On Monday after another playgroup that we go to we went back with my sister-in-law's house to have lunch and for Noah and his cousin to play. It is so wonderful to see their relationship blossom and best friends in the making. 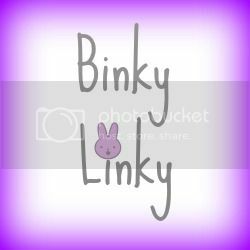 Welcome to week 44 of Just Another Linky! Thank you to everyone that linked up last week. Illness is unfortunately still with us, this time Finley has picked up the virus I had and it has wiped him out. Thankfully I am feeling much better so I can deal with it a bit better, but also having a lively 2 year old is testing! But we are now on countdown to our holiday to Center Parcs next week - really can't wait! Hope you have all had a good week and have a great weekend. - No more than 2 posts a week - Please! My favourite post this week is from one of my blogging friends, Sarah, at Run Jump Scrap with It's Still Christmas! It sounds just like our house, and who doesn't love a Christmas tune even in February! Once you’ve started a family and settled down getting fit is usually the last thing on your mind. It’s very hard to get going with little inspiration so, acquiring some new sportswear could be just the motivation you need to get you feeling fresh and up for working out. Here’s a wish list of women’s sportswear to help you feel good and kick start a new fitness regime. A cute hoodie is a great investment, as even if you don’t stick to your fitness regime you might be encouraged to wear it for going on a walk, which is way better than doing nothing! At M and M Direct there’s a fab range of hoodies and sweatshirts at great prices. Men’s ones tend to have a looser fit and can be better for going jogging in as they’re more breathable so, it’s worth taking a look at them too. Yoga pants are so comfy that they’re perfect for working out in. They’re having a bit of a fashion moment too, so there are many different styles around. You’ll be bound to find a pair you like from ones with pink waist bands to funky stripes down the side and zip bottoms. Yoga pants with a little zip pocket on the waistband are great for jogging as it gives you somewhere to store your keys without having to fasten it around your bra strap. Once you’ve had children, not wearing a sports bra is definitely not an option. There are some gorgeous sports bras around in a variety of colours and designs so working out doesn’t have to mean ugly underwear. Whether you get a bright pink one or a sassy leopard print number, making sure it fits properly is essential as comfort is the number one factor when exercising. There are so many cool pairs of trainers around at the minute that showing yours off is reason enough to start exercising again. There are some amazing Puma offerings around in a wide range of colours and styles so whatever type of trainers you’re into, there’s sure to be the perfect pair for you. Having a variety of tops is essential, go for a mixture of vest and t-shirt styles so you have options and don’t forget to invest in a water bottle. A pushchair is one of the main and most important items you will buy when you are pregnant. But then throughout the years you will inevitably buy others, whether you plan to or not, for various reasons such as it doesn't fit your needs once your little one comes or if you have another baby which will mean you need a double pushchair. Our choice of pushchair when I was pregnant with Finley was a Quinny Buzz in red, and I loved it. It did everything we wanted it to from fit the car seat on to maneuver brilliantly. 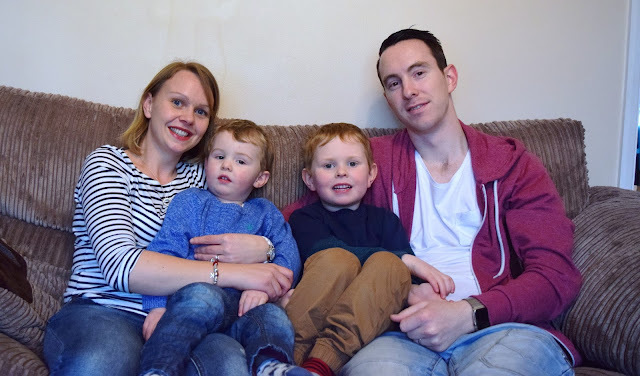 Then when I got pregnant with my second I knew that because there was going to be about 22 months between them that I would need a double pushchair. At the time we didn't have the money to buy a brand new one so we went with Ebay. 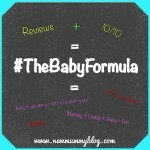 We decided on the iCandy Peach which was amazing for us and was exactly what we needed. It was a double but also a single when we needed it. But if we were to have had the budget, here is a little wishlist of pushchairs which I would have chosen. My main need would be to have a decent size shopping basket. 1. 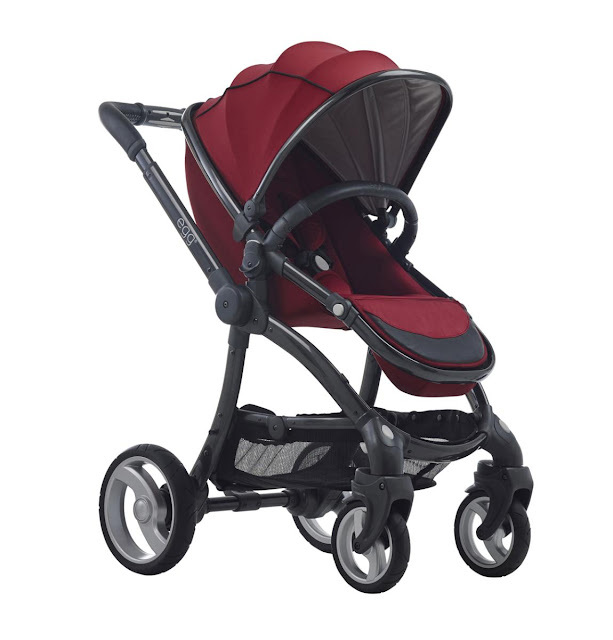 Egg Stroller berry red/gun frame from House of Fraser. I love the berry colour which would be for either gender if you haven't found out and isn't too light that it will show up the mess that inevitably children make when they are in the pushchair. I also think its great as you can buy an additional frame which will make it a double. This would save you money, so rather than having to buy a whole new pushchair you cane just add onto it. The size of the shopping basket looks great too. 2. Bugaboo Cameleon3 Classic+ Pushchair, Grey Melange from John Lewis. 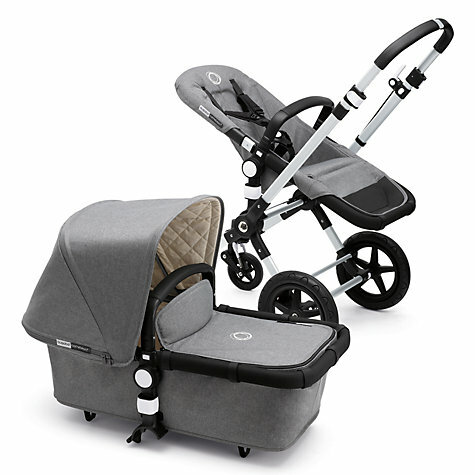 This is a travel system that includes the carry cot and Main seat. You can also buy the Maxi-Cosi car seat adapters separately. I absolutely love this colour, it is so stylish. You can't see it in this picture but the shopping basket is a brilliant size which is always a bonus as you don't want to be carrying bags around as well as pushing a pushchair. 3. 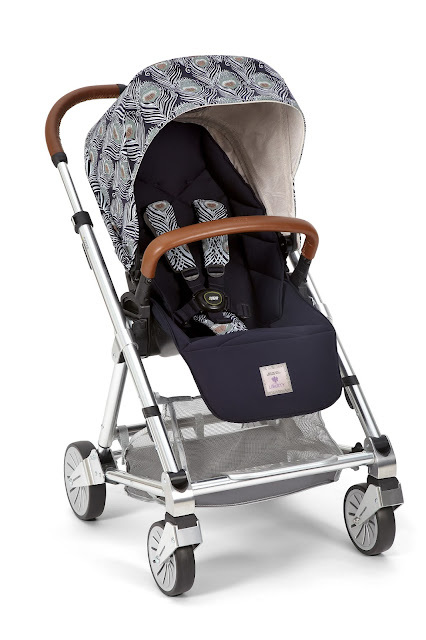 Special Edition Liberty Collaboration Armadillo Flip XT Stroller from Mamas and Papas. This just looks so stylish with its shiny frame and I am loving the tan handles and safety bar. I also love the special edition Liberty design on the hood and straps. The basket looks a great size too. These three would be perfect for life with a baby but when they start to get a little older you don't tend to need the big travel systems and a buggy will do. They are lightweight and don't take as much space up in the car. They are also great when you go on holiday abroad for the plane. 4. OBABY Atlas black/grey stroller - turquoise from House of Fraser. This comes with a raincover and folds down lovely and small. I love the turquoise against the black. A perfect stroller for when you want to get those little jobs done quickly as we all know a toddlers speed at walking! 5. 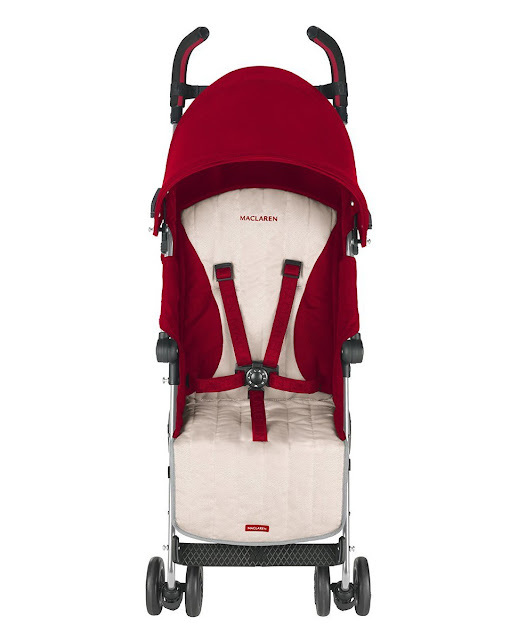 Maclaren Quest Stroller - Cardinal/Wheat from Mothercare. Maclaren is a well known brand so you know you will get quality when you get one of their strollers. 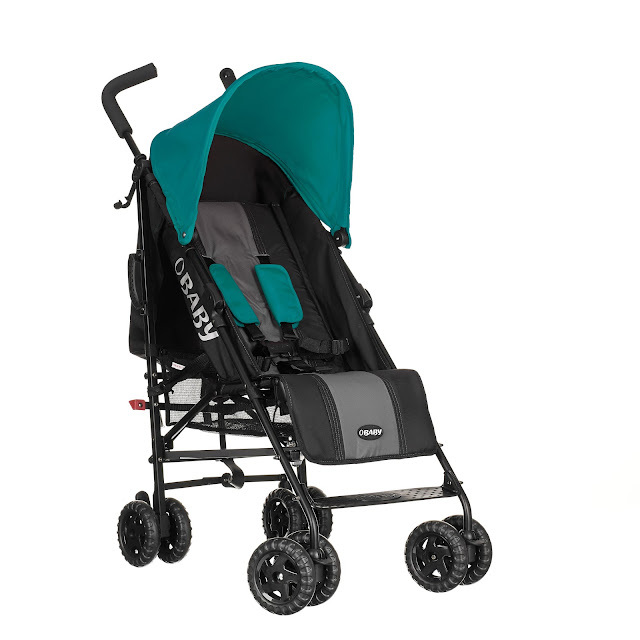 This stroller just oozes style and has the carry handle attached when it folded down so it is easy to transport. When it comes to a marriage, well any type of relationship, you have to be a team player. The relationship isn't going to last in my eyes if it is all one sided and your doing it all on your own with onlookers. Yes my husband and I have our arguments about the washing up and the hoovering but when it comes to the big things we stand together. 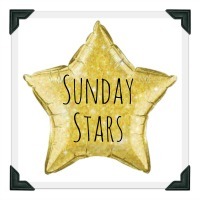 This last week has been a pretty tough one with my husband having a chest infection, our eldest having tonsillitis and then me coming down with the worst virus I have ever had. Now as I wrote in my post the middle of last week, there really is no stopping when you have children. You have to carry on because they need feeding, looking after and loving just as if you were well, that is what a parent does. Now normally I would be saying my husband is a terrible ill person, because he will moan about any ailment he has and will google everything, and I mean everything! But this week with us both being poorly we have pulled together. And I would say he has held up the family while I have been mopping about the place. I am terrible at being poorly. 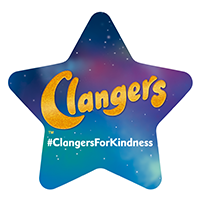 We have our family's but they aren't close enough to call on to watch the boys for us, and the fact that Finley was also poorly we didn't want to pass anything onto them. So we were confined to the 4 walls of our house, just the 4 of us in our little bubble. We did pop out a few times for doctors visits and to get milk, but if anyone had seen us they would have ran a mile, we looked absolutely awful. We spent the whole week in our pyjamas and didn't do much else than move from the sofa to the kitchen and then back again. Energy levels were at an all time low. But we had each other. As my husband had a chest infection he didn't go into the office and worked from home. If he hadn't done this I do not know what I would have done. 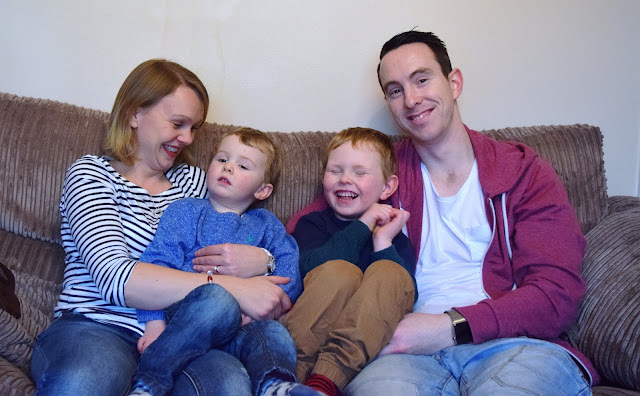 I was in no state to look after myself, let alone parent our two boys. So we shared the jobs. I made the boys their food and gave them lots of cuddles while my husband did the washing up and generally did most of the parenting. Yes they ran riot a lot of the time but we coped well I think. When I went to the doctors on Friday afternoon he recognised me from the day before when I had taken Finley in about his throat and I had said he had also seen my husband about his chest infection. He told me I just had a rotten virus and that I would be feeling rubbish for a few more days yet and was their anyone we could call on? My answer was no as we didn't want to make anyone else ill. When he asked if we had any other children I said we did and when I told him he was 2 he replied with, so he can't do the cooking then! I told him that the husband and I were tag teaming and getting through the best we could. We pulled together in our hour of need and we made each other hot lemon and honeys when we needed them. These are the times you realise that you are part of a team and I am certainly lucky to be part of a bloody good one! Welcome to week 43 of Just Another Linky!Thank you to everyone that linked up last week. 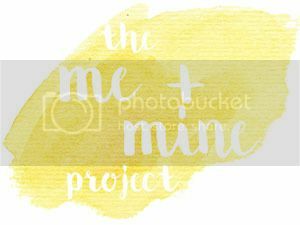 I am going to be quick as our house has been struck by all sorts of germs and we have tonsillitis, chest infections and a nasty virus. We have so far been at home for 4 days and I think there are more to come. Bring on the summer I say! 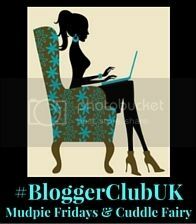 My favourite post this week was a guest post on The Butterfly Mother with How I Cope As The Mum Of A Picky Eater. I have one here so it was great to get some tips. This week hasn't been one of the best if I am totally honest as our house has been struck by nasty bugs. But it has meant we have had a lot of time at home and together. Even thought it has been a rough week there are always the happy moments to be found within the most turbulent weeks. I thought I would link up with What Katy Said and Quite Frankly She Said to highlight the happiness that can hide behind the rough days. 1. Cuddles with my boys. As I said we have all been poorly but this has meant lots of long, snuggly cuddles. I do normally get cuddles as they are very loving boys but they are normally between playing and very swift, so even though it was down to illness it has been lovely. 2. Lazy days. With us all feeling a little poop we have had 4 whole days at home. And they have been days doing nothing which we don't normally do. I daren't look in my washing basket but it has been worth it chilling out. 3. Playing with friends. Before the sickness hit we had a day on Monday at a playgroup where the boys played and bounced on the bouncy castle. Then followed by lunch at our friends. It was lovely to have some chilled out, fun time with them. 4. Exchanging and completing the sale of our house. This is sort of a bitter sweet moment as we are only completing on our house now, and then renting it, before our new houses chain is ready to exchange. So as of today we no longer own our house and are renting it from the new owners. But it is one step closer to moving. 5. Having naps. Due to the sickness again we have all been enjoying a nap during the day and even though it's not been down to a nice reason, it has been nice to just chill. 6. A dinner dance with the Husband. We were very lucky to go to a dinner dance last Saturday night, it was lovely to get dressed up and let our hair down while the in-laws had the boys. 7. Disney movies. We have just downloaded Disney Life as the boys, and me, are totally obsessed with Disney. This is an obsession I am happy about.